Many retro Christmas decorations are being brought out of storage to be put on display again for 2016. 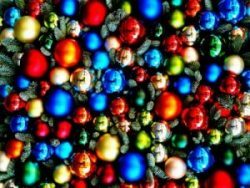 Bloggers and home decor publications are encouraging Christmas decorators to raid their grandmother’s Christmas decorations, as well as yard sales and antique stores. So, what are you looking for once you wrestle that box down from the attic? Well, here are some “old fashioned” Christmas decorations that are making a comeback. Most millennials won’t remember aluminum Christmas trees. The aluminum tree was popular during the 1970s, and it is what it sounds like, a fake Christmas tree with aluminum needles. If you are lucky, Grandma still has the color wheel that most people set up with one of these trees. The color wheel would spin a multi-colored lense in front of a small spotlight. As the wheel spins, the color of the tree changes. Of course, you still decorate it like a real tree, but the shiny aluminum creates a sparkly effect. If Grandma’s tree is too far gone to put Christmas gifts under this year, you can still find reproductions of these old trees. 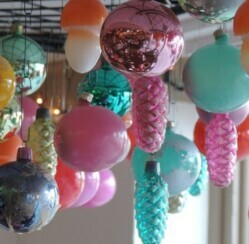 Glass Christmas ornaments are a big part of Christmas decor this year. If Grandma still has some of her Shiny Brites or German Kugels, you can create a seriously authentic Christmas display this year. In the 1940’s and 1950’s Shiny Brites were popular because they were made in America. The classic glass ornaments were created to replace the demand for imported German handblown glass ornaments during World War Two. Another holiday decoration Shiny Brites is responsible for is pinecone elves. Yes, pinecone elves. A pinecone elf was a figurine that used a pinecone as a body and painted chenille heads were stuck into the pinecone. Obviously, finding originals of these figurines is difficult, but reproductions can be found that are made with plastic. If you happen to find any of these holiday treasures, make sure you handle them with care. Shiny Brites and German Kugels are big collector items and make great Christmas gifts! 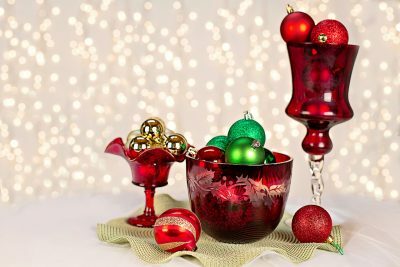 The modern way to display Grandma’s glass ornaments is to pile the ornaments into a glass bowl, a lidded candy jar, or set one on top of a glass candle holder. Another idea is to hang the ornaments by ribbon and tie the ribbon to a curtain rod. These dangling baubles will be a festive addition to your big picture window. If you were lucky to find pinecone elves, the thing to do with them is to create a Christmas scene inside a domed cake plate or on a high bookshelf. 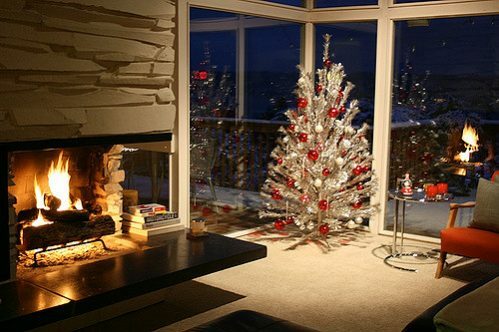 You could also use the last item in this list to create a cute Christmas scene. 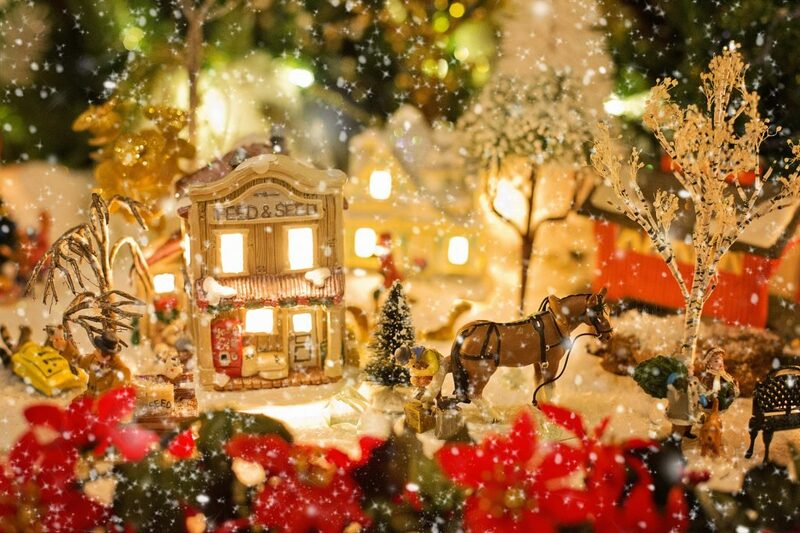 Vintage miniature villages are coming back as quaint decorations for under a Christmas tree, up on the dining room table as a centerpiece, or to give as Christmas gifts. Vintage villages didn’t light up like the ones you find now, but the small buildings create idealized vignettes of holiday life. The miniature scene would make a great setting for your pinecone elves and any old dollhouse props. It goes without saying that people who like this type of Christmas decor have a personal connection with it. Maybe that Christmas village brings back wonderful memories. Dusting off Grandma’s old retro Christmas decorations can be more than just prepping the house for family dinner. It can be a time of reminiscing and reconnecting to a Christmas long ago. See what memories you find this Christmas.